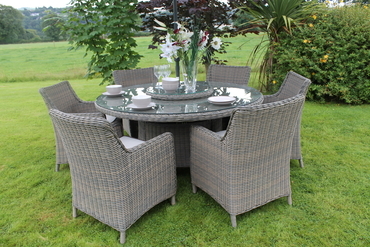 The Casino 6 seat rattan outdoor dining set is a very stylish addition to the Culcita range. 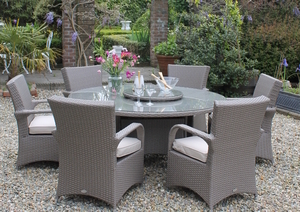 It consists of a 160cm table with lazy susan and 6 very comfortable dining chairs. 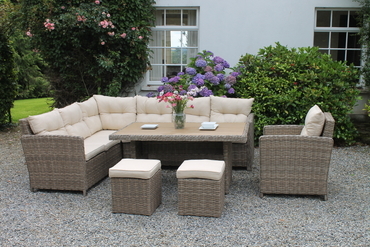 The cushions are 8cm thick and are perfect for relaxing and unwinding in the great outdoors. 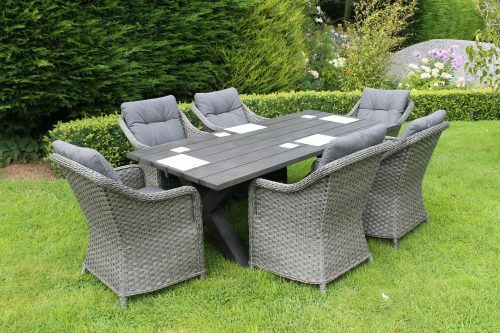 The flat rattan weave in grey gives this outdoor dining set a very contemporary feel.